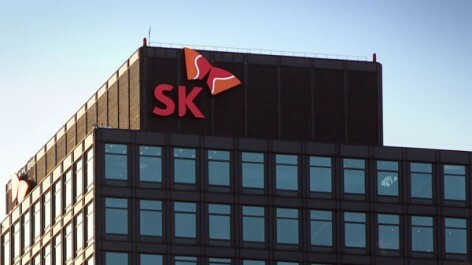 SK was using a word mark as the CI since it combined all subsidiary companies with different names into SK. The existing word mark however was limited to visualize the corporate value and the identity. Its color identity was not consistent either, for instance, oil refining being represented as red and the communication being represented as blue. As a result, the processes of a new CI development symbolizing the value of SK and the establishment of a CI integrating all 14 subsidiary companies within the group were started. Integration of the subsidiary companies’ CIs were not going to be solved by simply switching their logos, rather a strategic approach with the insight to see the forest for the trees was necessary. The core meaning of SK brand implies friendliness that delivers ‘happiness’ via a human-focused management and the happiness approaching the consumers softly and gently. This fundamental meaning was expressed as the ‘Wings of Happiness’. We developed a CI system and an application system for 14 subsidiary companies by integrating the colors that used to differ from one to another into Red and Orange, emotional and warm colors, based on the new Group CI. 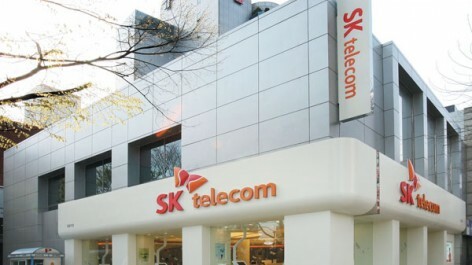 According to the ‘separately and together’ strategy, factors were combined and separated when necessary in order to incorporate the consistency as subsidiary companies of SK Group and the individuality considering the characteristics of each business area. This is well demonstrated in the application system. SK는 각기 다른 명칭을 가지고 있던 계열사를 SK로 통합한 후 워드마크를 CI로 사용하고 있었다. 기존의 워드마크는 기업의 Value와 Identity를 Visualizing하는 데 한계를 가지고 있었다. 또한 정유는 Red, 통신은 Blue를 Color로 가지고 있는 등 Color Identity도 통일되지 않고 있었다. SK의 Value를 Symbol화 한 새로운 CI 개발과 Group에 속한 모든 14개 계열사의 통합 CI 구축이 시작되었다. 계열사의 CI 통합은 로고만 교체한다고 해결되는 것은 아니었다. 각 계열사들의 CI 통합 작업은 숲과 나무를 동시에 꿰뚫어보는 Insight를 통한 전략적 접근이 필요한 것이었다. SK의 브랜드 본질은 인간중심경영을 통한 ‘행복’의 전달이며, 그 행복은 소비자에게 Soft하고 가볍게 다가가는 친근한 의미를 내포했다. 이러한 본질적 의미는 ‘행복 날개’로 표현되었다. 우리는 계열사별로 다르게 사용되던 Color를 감성적이고 따뜻한 Red와 Orange로 통합하고, 새로운 Group CI를 기준으로 14개 계열사의 CI System과 Application System을 개발하였다. 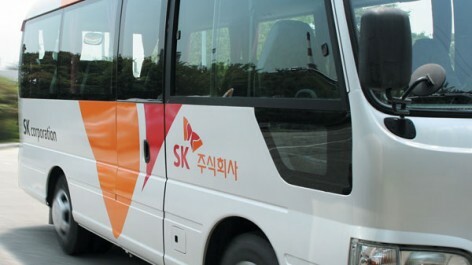 SK Group에 속한 계열사로서의 일관성과 각 사업 분야의 특성을 고려한 개성을 함께 아우르기 위해 ‘따로 또 같이’ 전략을 통해 통합할 것은 통합하고, 구분되어야 할 것은 구분하였다. 이는 Application System에 잘 드러나있다.